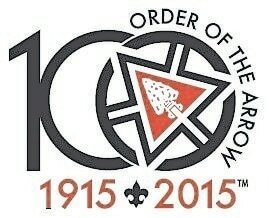 DAYTON — 2015 marks the Boy Scouts of America’s National Honor Society’s (Order of the Arrow) 100th anniversary. The Order of the Arrow (OA) and its members, “Arrowmen,” will commemorate this exciting anniversary milestone with a U.S., cross-country, tour to help reflect, connect and discover the OA’s past, present and future. ArrowTour will make 110 stops across the country during the summer of 2015, to give current and former OA members, Scout and adult volunteers and Scouting alumni a chance to be a part of the 100th anniversary celebration. The tour stops are free and open to the public. On June 30 ArrowTour will be at Woodland Trails Scout Reservation at 265 Gasper Somers Road, Camden, Ohio from 1 – 5 p.m.
ArrowTour guests will have an opportunity to participate in a program that will include a show that recognizes the Order’s rich history and empowers participants to help shape the organization’s future. The tour stop also includes interactive exhibits with activities such as silk-screening and branding and challenge games. Dinner is available after the event at 5:00 p.m. Participants will have a chance to meet some of the OA’s national youth leaders, and alumni can learn about the Scouting Alumni Association and local alumni efforts to supporting Scouting in our area. An exclusive ArrowTour trading post will carry ArrowTour and OA centennial merchandise for sale. More information about the ArrowTour routes and program can be found at http://arrowtour.oa-bsa.org. You can also keep up with the tour as it makes its way around the country by following @ArrowTour on Twitter. As Scouting’s National Honor Society, the OA’s purpose is to recognize those Scouts who best exemplify the Scout Oath and Law in their daily lives and through that recognition cause others to conduct themselves in a way that warrants similar recognition; promote camping, responsible outdoor adventure, and environmental stewardship as essential components of every Scout’s experience, in the unit, year-round, and in summer camp; develop leaders with the willingness, character, spirit and ability to advance the activities of their units, our Brotherhood, Scouting, and ultimately our nation; crystallize the Scout habit of helpfulness into a life purpose of leadership in cheerful service to others.